Our name really says it all: Gardens for Good. and, interestingly enough, for the good of our world. From our studio in Oxford, we passionately create unique, exciting garden designs that give your property (and you!) a new lease of life as we bring the beauty of nature into your home. Being specialist in garden and landscape design, you’ve come to the right place to get the right help with your garden project. We’re essentially like architects for your garden, with a wealth of knowledge, experience and contacts just waiting to help your project flourish. Take a look at our portfolio to see the stunning before and after shots of our garden design services. You’ll see what being Gardens for Good is all about. Enhance your living space and relax in style with a garden designed and crafted to your exact requirements. A beautiful yet practical outside space that’s perfect for sharing with the ones you love. Designs that instil a sense of peace and relaxation, helping you to rest, unwind and recharge your energy. Enjoy the benefits of your estate while adding value to your home and making it more appealing to buyers if ever you come to sell. Create a haven for wildlife and positively contribute to your local biodiversity. A network of sensitively designed gardens creates essential environments for nature to thrive and flourish. Well designed gardens become ‘green pillars’ that support our local environment in so many ways. Incorporating trees and plants that purify the air, remove chemicals and bacteria from water in the ground, as well as reducing food miles with home grown produce and even reducing noise pollution. As well as working magic with places closest to you, we also spread the good vibes far and wide by contributing to various projects around the world including wildlife, environmental and humanitarian schemes to those most in need. Planning your garden with meticulous detail to ensure every aspect of it sparks joy. Synergising garden spaces for both people and nature, helping us live in harmony with the natural world. Gardens for Good is about longevity, meaning your garden will have a timeless designs that is built to last. Joe is the Founder of Gardens for Good and the person you’ll meet with directly when planning your project. Joe works on all the designs personally and has over 16 years’ experience overseeing the implementation phase of garden projects. He has a great sensitivity to peoples needs and a keen eye for detail, which is vital in interpreting each client’s requirements into gardens they love. Joe was born in Oxford and, after some year living away, has moved back with his wife and three children. He started the business back in 2005 to harness his passion for design and the environment. He loves using the medium of garden design to bring people and wildlife together in a way that is beneficial for all. Joe has a Degree in Product Design, enabling him to think a little differently when it comes to creating innovative garden designs. His accolades include Silver and Gold Medal-winning gardens at the RHS Chelsea Flower Show, a Silver Medal at RHS Hampton Court, Silver Gilt at the Gardeners world Live Exhibition, Gold Medal for Northamptonshire in Bloom and a Silver Medal at The BALI Landscaping Awards. 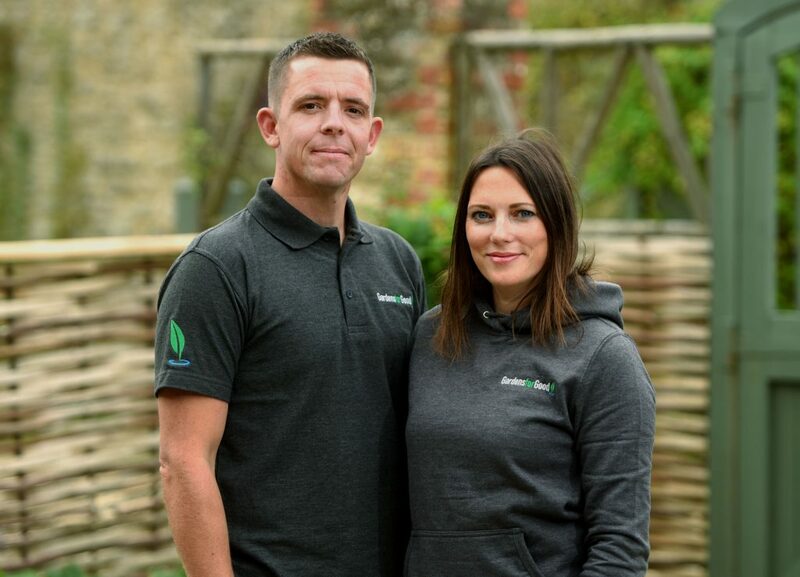 Sinead has been actively involved with Gardens for Good since 2009 and brings a wide range of experience and expertise to the company. After earning an Honours Degree in Marketing Design, she honed her skills in various divisions including Event Management, Customer Relations, Product Development and Marketing Communications. Sinead is very much a people person and enjoys spending time with friends and meeting new people while at the same time being a fantastic mother to her three children. She enjoys an active lifestyle and using her creativity for fun as well as in work, she is also very well organised, which helps with the smooth running operations of the business!